“Wake in Fright” (Image), one of the seminal works of the New Australian cinema of the seventies, is a brutal, blackly funny thriller of an urban schoolteacher (Gary Bond) posted to the Australian Outback, which is a sun-blasted nightmare as far as he’s concerned. He can’t leave fast enough when his Christmas vacation arrives, but his veneer of culture crumbles when he gets stranded in the grimy mining town of Bundanyabba (or just “the Yabba,” as the locals call their little slice of hell), where he unravels in non-stop drink and nocturnal kangaroo hunts. The educated, well-spoken character looks like easy prey to the hard-drinking roughnecks and derelicts of the town but this isn’t an Aussie “Deliverance.” He’s a willing participant in his self-degradation in this lost weekend, and the darkly comic chain of events that keep him stuck the Yabba looks less like a cruel joke by a trickster god and more like a hard lesson in self-awareness. Under all that hubris and arrogance is just another animal acting on base instinct. The raw, sweaty 1971 film is not a pretty portrayal of life in the outback, where men are crude, hard-drinking mates with no ambition beyond rough-house fun, and it was a flop Australia, but it was critically well received and brought more attention to the nascent Australian film culture. Director Ted Kotcheff is Canadian, its two featured stars (Gary Bond and Donald Pleasance) British, and its producers an international collection, but the self-aware sensibility is unique and impressive and even a little affectionate — the locals (including an impossibly young and beautiful Jack Thompson) are as generous and accepting as they are coarse and raw — and it became an influence on the work of Bruce Beresford, Peter Weir and others. The film all but disappeared and was thought lost for years until a print was discovered in a film depot in Pittsburgh, and the film was restored by the National Film and Sound Archive in Australia. Drafthouse Films picked it up for its American release, and they present the film Blu-ray and DVD with Image. Both formats feature commentary by director Ted Kotcheff and editor Anthony Buckley, a Q&A with Kotcheff from the film’s showing at the 2009 Toronto Film Festival, the new retrospective featurette “To the Yabba and Back,” and archival clips about the film’s production and recovery, plus a booklet with notes on the film and its recovery and restoration. Also includes a bonus digital copy, which can be downloaded from the Drafthouse website. 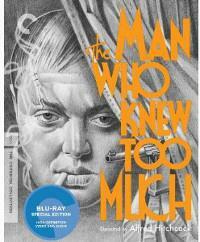 The original The Man Who Knew Too Much (Criterion), Alfred Hitchcock’s first international thriller of innocents caught up in the intrigue of spies and killers, set the template for the romantic thrillers that made his reputation. It’s also the English language debut of Peter Lorre, whose childlike bursts of laughter immediately set him off from the British restraint and carefully wit of the rest of the cast. Leslie Banks and Edna Best are an ordinary couple whose sports vacation to Switzerland becomes a nightmare when a British agent dies in their presence and foreign assassins kidnap their daughter (Nova Pilbeam) to assure their silence. 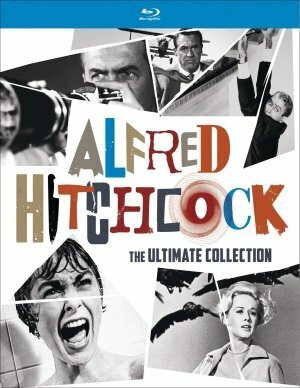 Hitchcock’s tone is odd, with clever set pieces and tightly-constructed and edited sequences interspersed with awkward scenes of emotional restraint (“Steady, old girl, steady”) and disconnected characters. It lacks the romance and the personality wrestling of his best films of the thirties, something he mastered in “The 39 Steps” and “The Lady Vanishes.” But his pace is snappy and you can see Hitch working out his signature style in key scenes, from the startling assassination of the first act exploding in the midst of a practical joke to the building rhythm of the Albert Hall sequence, and he invites the wife to participate in the rescue of her daughter as only a female sharpshooting champion could. This public domain film has been widely available in substandard versions, some of them quite terrible. Criterion masters the film from the BFI’s restored fine-grain 35mm print (the original negative no longer exists) for a special edition on Blu-ray and DVD. The source material is not pristine, but it’s been cleaned up and digitally repaired (both picture and sound) as well as could be hoped for, and mastered with a sharpness I’ve never seen in a print of this film. Features commentary by film historian Philip Kemp, a new interview with filmmaker Guillermo del Toro, a 50-minute TV interview with director Alfred Hitchcock conducted by journalist Pia Lindstrom and film historian William Everson in 1972, and excerpts from filmmaker François Truffaut’s 1962 interviews with Hitchcock (audio only).